The IPRN European Meeting 2018 was held in Luxembourg with the highest member’ attendance ever, several new and happy faces and a very good agenda organized by our partner Binsfeld, thanks to Philippe Beck, Heike Fries and Claude Sauber, that set up a great IPRN regional event in their premises. 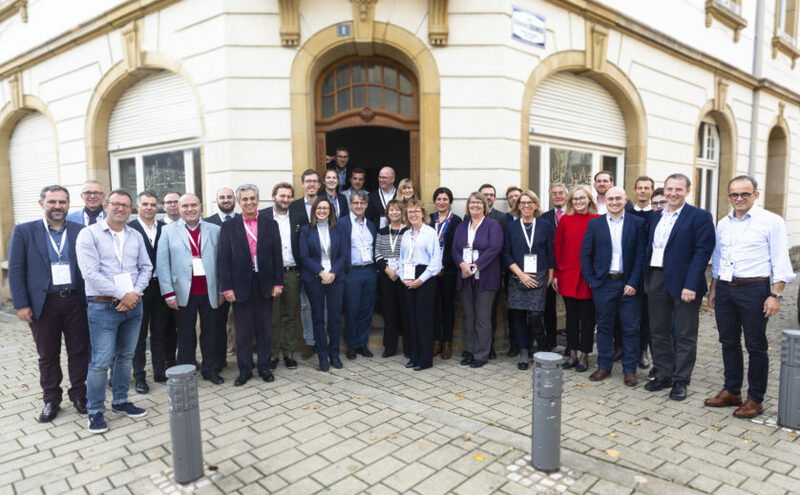 30 delegates from 20 agencies in Binsfeld Café de la Place meet in a perfect location to create an intense, fun and cooperative atmosphere that demonstrated why Binsfeld is the leading agency in Luxembourg. Four of the new IPRN members attended the regional meeting and presented their agencies: INC with Francesca de Feo and L45 / The Van Group with Simone Guzzardi from Italy, TDUB with Karsten Hoppe and Tilo Timmermann from Germany and Crest Communications, from the Czech Rep, back in IPRN after a year, with Ales Langr, Anna Lozinska and Jaroslav Matyas. Additional new faces attended representing long standing members: Nexus with his new CEO Harvey Choat, Kragelund with Mathias Hoyer Kragelund and Mikko Sillanpaa from H&V. The agenda was run in 3 parts: a quick update of issues and projects going on in IPRN, a networking lunch and topics raised and presented by members with two workshops organized by Binsfeld to create an engaging exchange of information and participation. Philippe Beck from Binsfeld presented the Agency and Video of the Year award projects for testing that were well received by attendants and will be incorporated to the annual conference in May in Warsaw in the “IPRN Annual Awards”. PR Partner won the best video and McOnie the best agency collaboration. Pawel Bylicki, from Public Dialog in Poland, as the new IPRN Chairman and organizer of the AGM + Conference in May explained the results of the survey made in the past weeks to continue improving the program of the AGM in Warsaw. “This conference in Luxembourg has been another incredible opportunity to share insights and trends of the PR industry and our organization with our European members and test some creative ideas that will contribute to our knowledge transfer goal and to leverage our global positioning for the benefits of our agencies and clients” said Luis Gonzalez, President of IPRN.